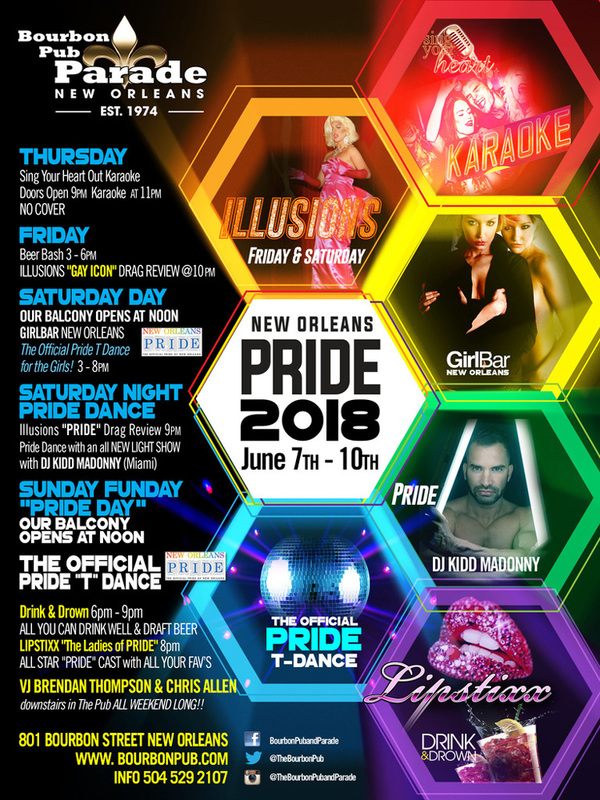 ARE YOU ON THE GAY NEW ORLEANS EMAIL LIST? 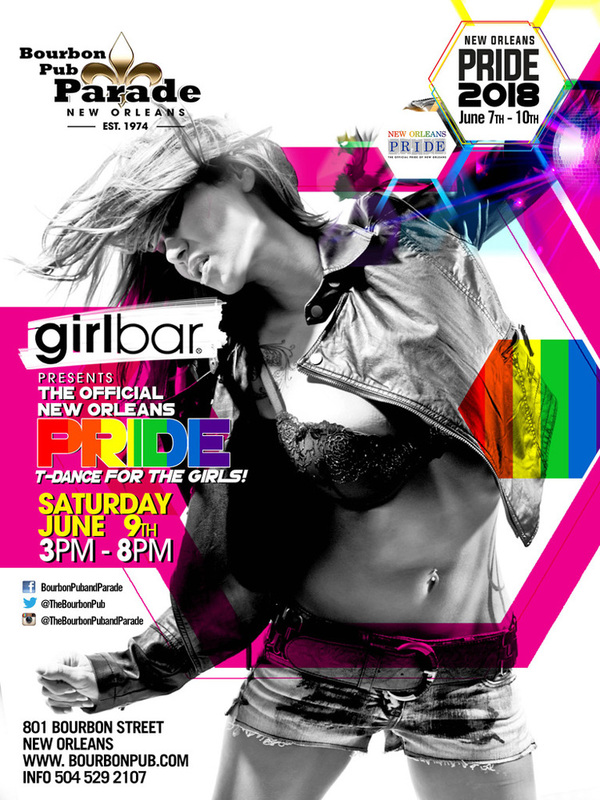 events in the New Orleans Gay and Lesbian community. Your e-mail address will be kept confidential, and will never be shared with others. New Orleans pride began in 1971, when the newly-formed Gay Liberation Front of New Orleans presented a "Gay In" picnic in February in City Park. The was the very first such event in the entire state of Louisiana. Several other gatherings were held throughout the city that year, and intermittently thereafter until it became an annual event in 1978. 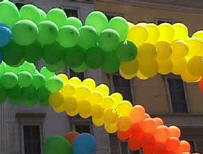 The 1978 event, held in Jackson Square, was the first to be identified as "gay pride." Later that year, a larger event called "Gay Fest" was presented in Washington Square, just outside of the French Quarter. The first street parade was held in 1980. In 1981, the event moved to Armstrong Park, and was emceed by New Orleans native Ellen DeGeneres. An event of some nature has been held almost every year since. In 1995, the celebration was rescheduled from June to Fall. In 1998, the festival was moved back to Armstrong Park, and in 2002 the parade was rescheduled from Saturday afternoon to Sunday night. For 2005, the organizing Board voted to move Pridefest back to June. At the same meeting, it was decided to schedule only a street parade during the weekend, putting the other daytime events on hiatus during a year of restructuring. There was no parade for 2006 or 2007, with only an organized festival being held. A parade was once again held during the 2008 celebration, with a gathering in Washington Square. Currently, the annual parade is held on Saturday night through the French Quarter and surrounding areas. It started in 1969 in New York City on the evening of June 17th. The Stonewall Inn, a very popular gay hangout in the Greenwich Village section of the city, was packed with its usual crowd. What was somewhat unusual about the night was that New York City Alcohol and Beverage Control Board agents, along with a group of NYPD officers, raided the bar to enforce a seldom-used law. This action was not uncommon, as raids on gay establishments were carried out around the city with virtually no resistance. Patrons were escorted out of their gathering places, sometimes by force, occasionally beaten, and quite regularly arrested for no just reason. And in fact, the raid on this night was the second on that very establishment in less than seven days. But there was one thing very different about this night. Lesbian and gay men decided spontaneously and for the very first time to fight the police harassment. The crowd, both inside and outside of the bar, erupted with violent resistance as the officers began to pick and choose which customers would be hauled off to jail. More and more law enforcement officers were summoned, and the patrons became even more united in increased outrage. Word of this event spread like wildfire, and larger throngs gathered on the following nights to denounce and protest the mistreatment. These rallies became known as the "Stonewall Rebellion" and the "March on Stonewall," and were the genesis of the modern gay and lesbian freedom movement. They were directed against the violence and widespread discrimination against the community. Out of these demonstrations was born the gay community's quest for equality, liberation, and basic civil rights. 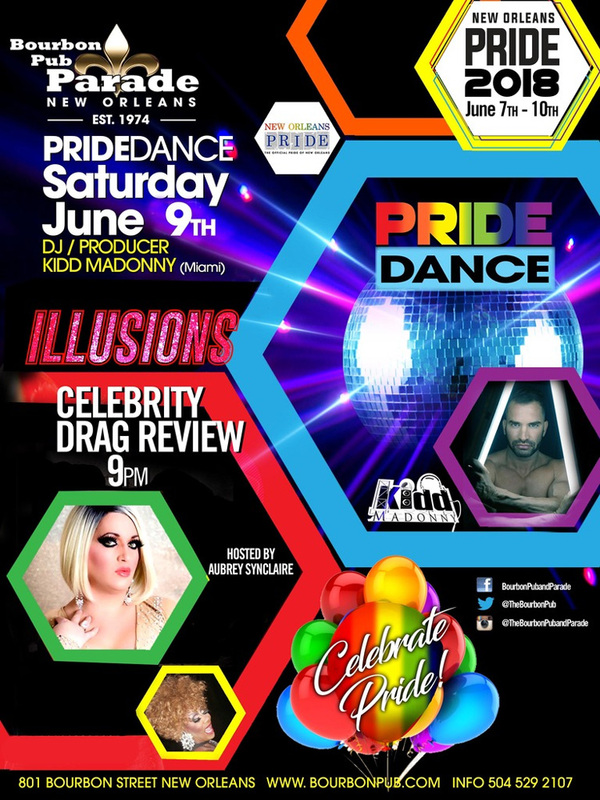 Pride celebrations today have evolved into an annual ritual and have mushroomed to encompass hundreds of thousands of gay, lesbian, bisexual and transgender participants throughout the entire world ... and this does not include the countless spectators. The attire of attendees is generally vibrant, and can range from next to nothing to full leather and fetish wear. It is all a reminder to the world that we deserve and are entitled to the exact same rights as other citizens, and should enjoy the freedom to live our own lifestyles without others passing judgment and spewing hatred. As important, the celebrations are a symbol of unity and solidarity, and provide a vehicle to demonstrate the unique personality and characteristics that make up the very diverse GLBT populations of the world. Gay Pride also allows the community to establish a presence, and create an awareness that hopefully stimulates intelligent discussions. For many it is their very first step out of the proverbial closet. And for all it is an opportunity to participate in some of the biggest events of the year and to share their experiences. All of the various celebrations throughout the world are unique; however, there is one common element: the gay pride or rainbow flag. This symbol was the creation of Gilbert Baker in response to local activists saying that the community needed a symbol of unity, and was unveiled during the San Francisco Gay and Lesbian Festival in 1978. Its design was actually inspired by the earlier black civil rights and "hippie" movements. And today, even the International Association of Flag Manufacturers has acknowledged the flag. 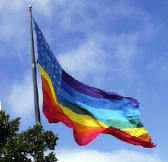 The rainbow flag has become the most visible icon of the GLBT community, and is a symbol that is recognized worldwide. The community has united with pride, determination and diversity under its colors.